Dan Wolfe’s section from our 2012 opus The Cinematographer Project, was a full Dennis Busenitz part featuring the Real team for even more of a kick in the face. How did Dennis frontside 180 out of the frontside bluntslide at 3:51? The cover of the backside noseblunt ender was a banger. 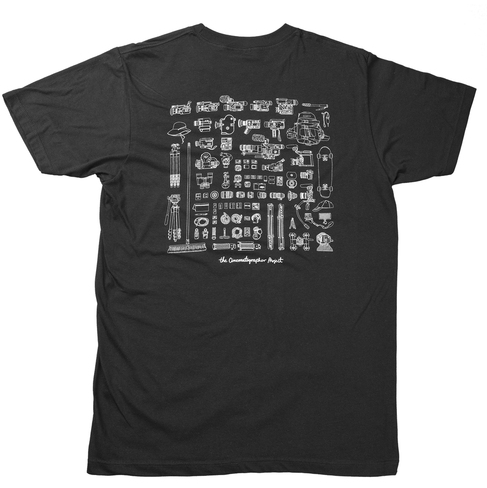 Limited-edition The Cinematographer Project Ts and of course the DVD in our store now! The Cinematographer Project T in black. Also available in white. Click to purchase.